The organ heritage of Madeira has been, in recent years, the object of particular attention, in that it was possible greatly to stimulate the process of recovery and restoration of a number of these historic instruments, making it possible to play them in the churches to which they belong. The master organ builder Dinarte Machado was in charge of this lengthy project of the preservation of this heritage, being also responsible for the building of a new organ for the Church of the Colégio, a project carried out in close cooperation with the Diocese of Funchal, as part of a cultural policy that has always sought not only to increase the visibility of a special area of the Portuguese patrimony, but also to enrich the presence of culture in the Autonomous Region of Madeira. Thus, the bringing together of historic organs, musicologically specific as they are, and the great organ of the Church of the Colégio, with its vast possibilities in terms of repertoire, provided the appropriate technical basis for the programming of a Festival that, uniquely in Madeira, made it possible to hear the best of early and modern music within the context of this legacy, in which our cultural heritage could be appreciated more fully and authentically. This strategy of diffusion is a natural part of the initiatives already undertaken following the restoration of the historic organs, such as the recording and publications of CDs, with music appropriate to each instrument, and the recent publication of the inventory of the historic organs of Madeira. 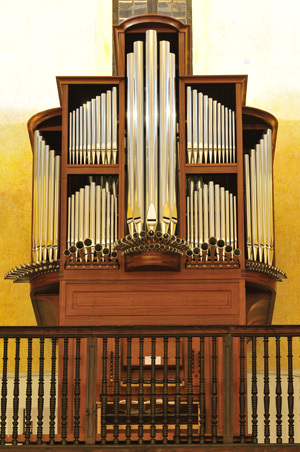 The 3rd Madeira Organ Festival, which takes place between 19 and 29 October, therefore allows us to reach the highest level of the objective initially implicit in this strategy of restoration and diffusion: to include the historic organs, and even more, the new organ of the Church of the Colégio, in a project that, taking into account their singular musical importance, would hugely enrich our regular programming, in terms of the programmes themselves, of attractiveness and the consolidation of audiences. Under the artistic direction of João Vaz, who devised a varied programme of the highest quality, in accordance with the characteristics and possibilities of each instrument, this Festival will make it possible, in the various churches of Madeira, to listen to works by some of the most renowned composers of early and sacred music, in different performance contexts, in which the “king of instruments” is heard with solo voice, choir and strings, providing audiences with experiences of the highest artistic level. The Organ Festival is part of the “Madeira Cultural Festivals” project, supported by funds from the European Union, a trademark sponsored by the Regional Secretariat of Culture Tourism and Transport, through the Regional Office for Cultural Affairs, seeks to widen and improve the cultural possibilities available in the Autonomous Region of Madeira, providing both residents, and also the wider market of cultural tourism, with the best of our identity, in terms of our heritage, art and culture. The Madeira Organ Festival has been, since its first edition in 2010, a singular event in Portuguese culture. Firstly because it represents the natural result of a continuing effort to recover and give value to the heritage of the Portuguese organ. This effort, undertaken by the Autonomous Region of Madeira during the course of more than a decade, has produced results not only in terms of the various instruments restored and the construction of the new organ of the Church of the Colégio, but in the work of dissemination undertaken over the course of time: four recordings, dozens of concerts and the recent publication of the inventory Órgãos das Igrejas da Madeira, the first work of its kind published in Portugal. Secondly, on account of the variety of its programming, which arises chiefly from the characteristics of the various instruments. Madeira displays a noteworthy diversity in its organs, which include, as well as a new instrument intended for the performance of the classical repertoire, historical organs from the 18th and 19th centuries from the Portuguese, Italian and English schools. This diversity – also visible in the size of the instruments – is a challenge, requiring programming able to cover, as far as possible, all the organs of the Region. 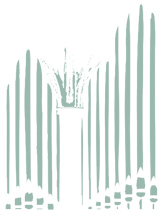 In this third edition of the Madeira Organ Festival, three recitals on the organ of the Church of the Colégio provide a panorama of the European organ repertoire from the 17th, 18th and 19th centuries, while the historical instruments of the Church of Machico and the Convent of Santa Clara will shine in programmes of early Spanish and Italian music. The rest of the programme includes concerts in which the organ appears with various soloists or groups (solo voice, violin, children’s choir and renaissance wind instruments) as well as a recital for organ duet. We believe that, over the course of these eleven concerts, and through the hands of eight Portuguese and foreign organists, the audience of the Madeira Organ Festival will be able once more to enjoy the richness and diversity of the organ repertoire, at the same time appreciating the versatility of the instruments of the Region.